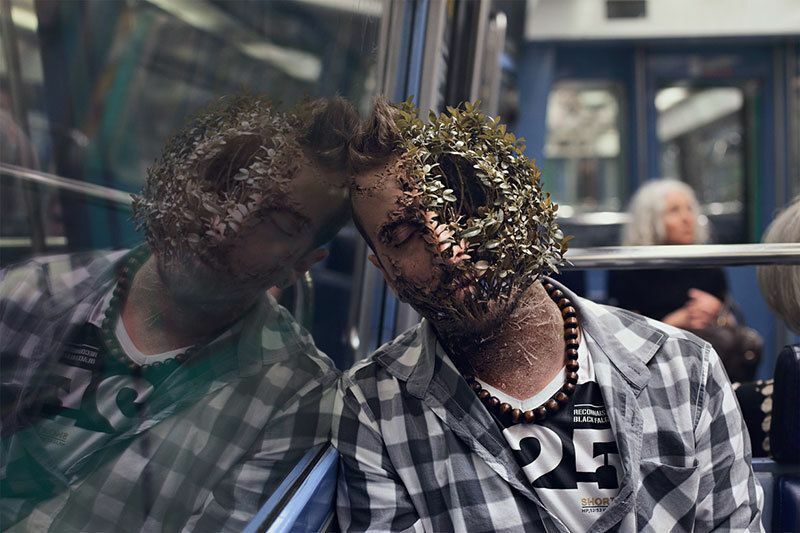 In Cal Redback's Treebeard series, a bush grows from the face of an unsuspecting man. 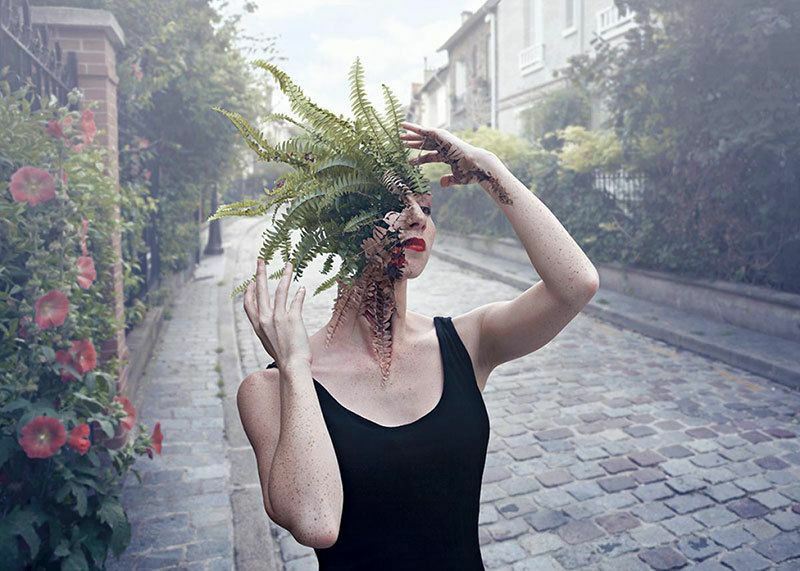 There’s something disturbing about Cal Redback’s latest digital renderings. 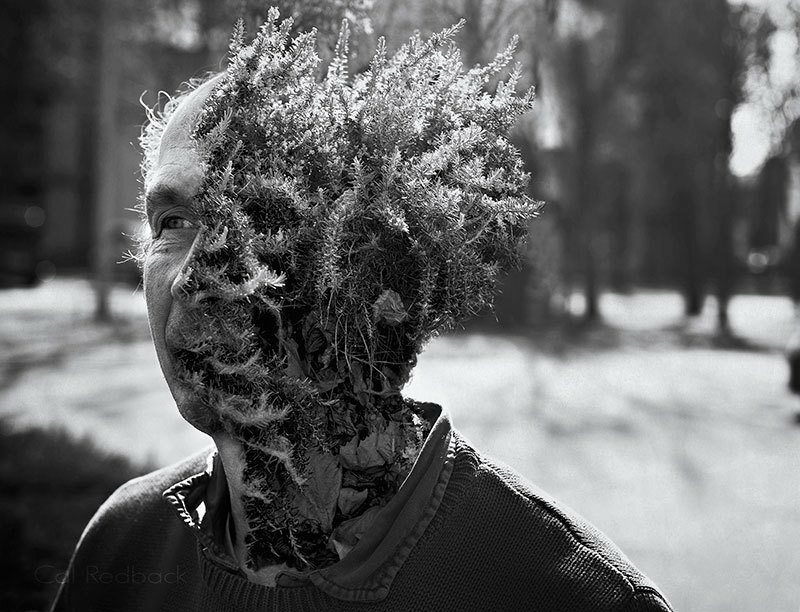 In an image from his Treebeard series, a brownish-green bush grows from the shadows on a man’s face, obscuring any defining characteristics. 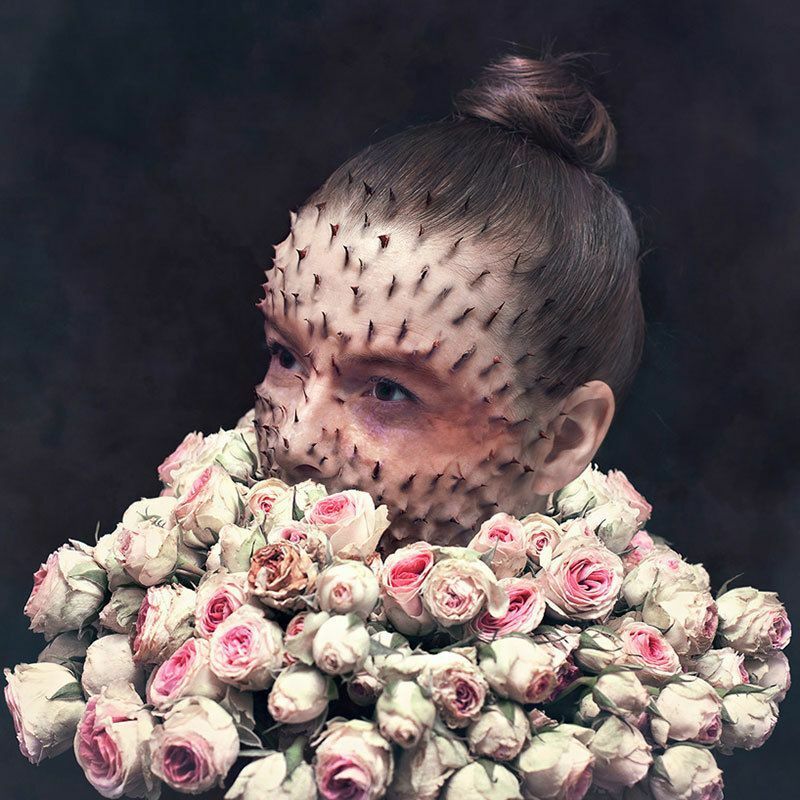 In another image, Herbraiser, thorns pucker from a woman’s skin like acupuncture gone so totally wrong. 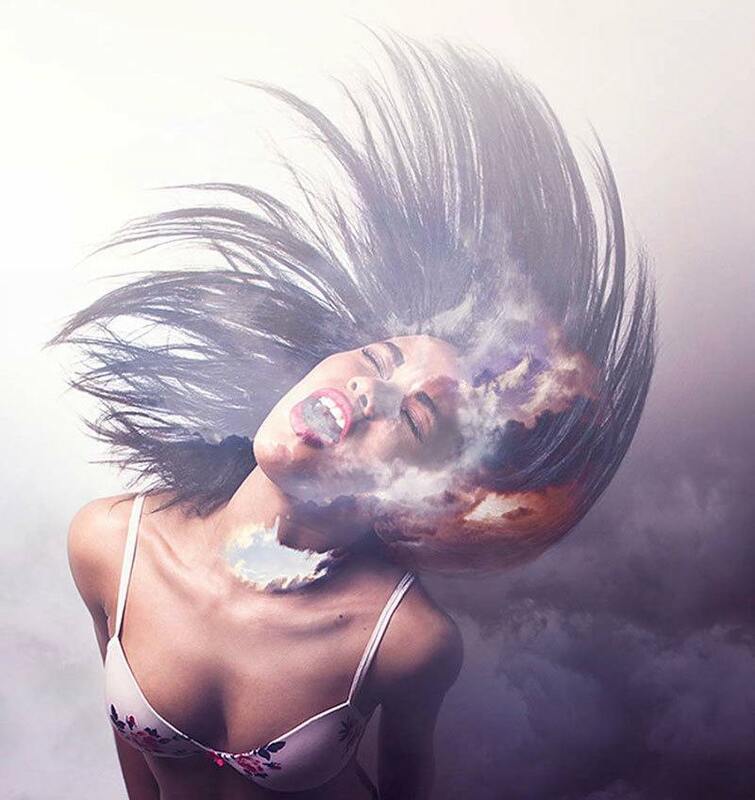 And yet these digitally-altered bodies are undeniably beautiful in some raw, peculiar way. 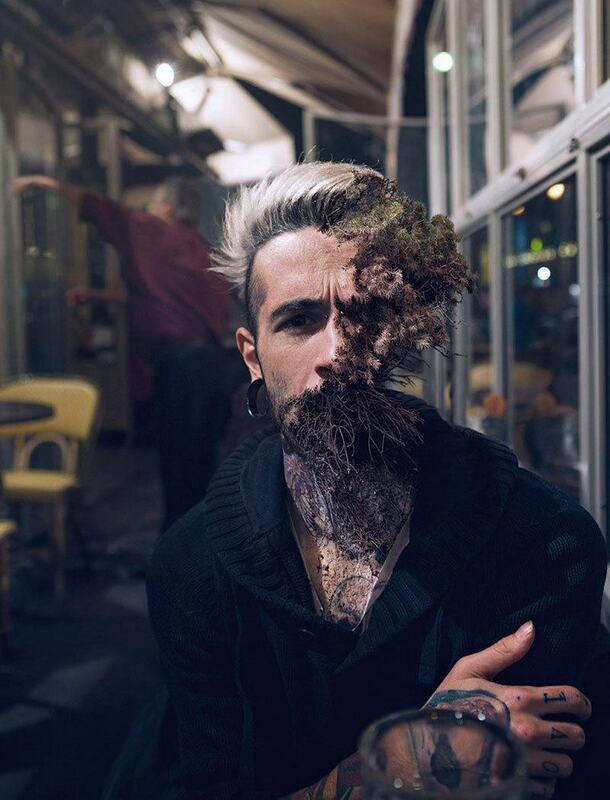 French artist Cal Redback uses Photoshop to alter his subject’s physical appearance in a manner that is, at the very least, startling–if not completely bizarre. 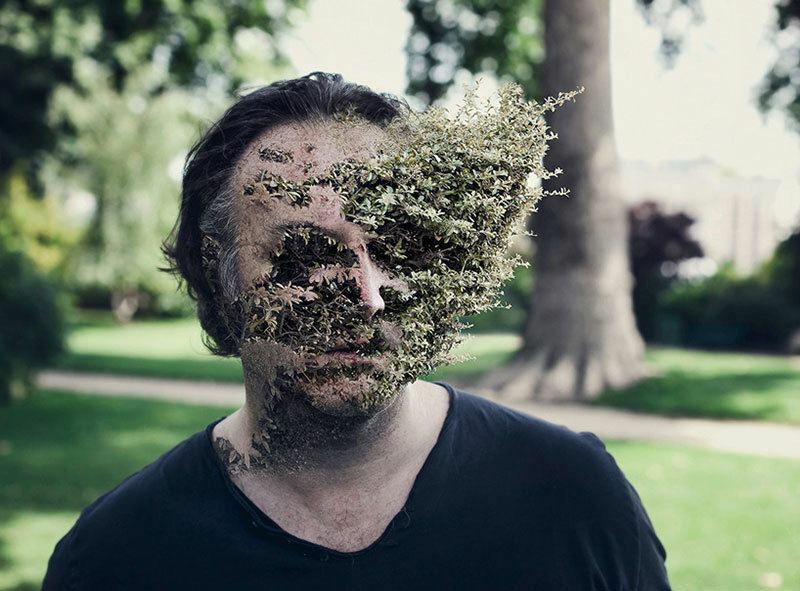 In each Treebeard shot, nature invades the spaces surrounding the individual’s face so that it becomes hard to tell where the body ends and the foliage begins. Such an intrusion can make viewers uncomfortable, but Redback’s subjects don’t seem too bothered by their transformed state. 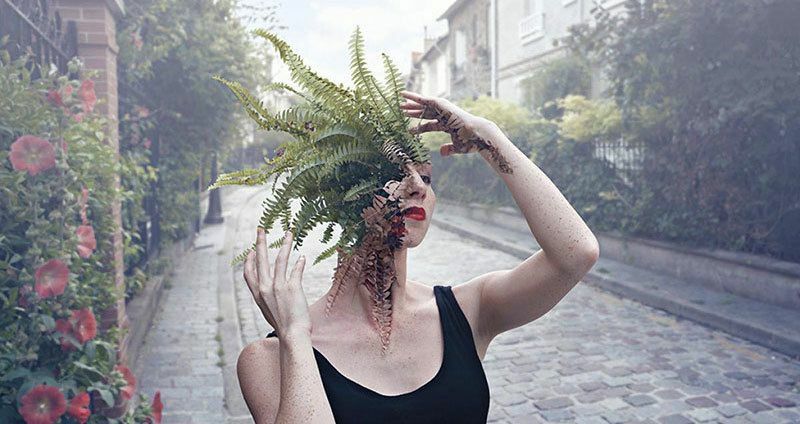 Instead, the surreal images capture perfectly the strained yet deeply connected relationship between humans and nature; while people and nature must coexist in this world, it isn’t always a pretty or cheerful sight. 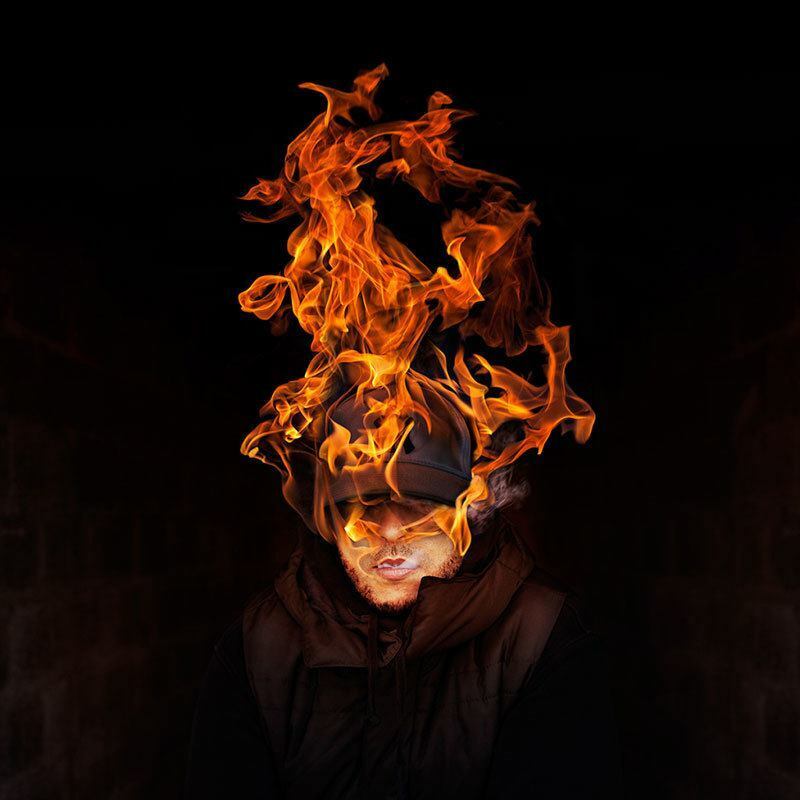 While the small collection of Treebeard photos has been making its rounds on the internet, Redback’s other photographs also deserves a moment in the limelight. 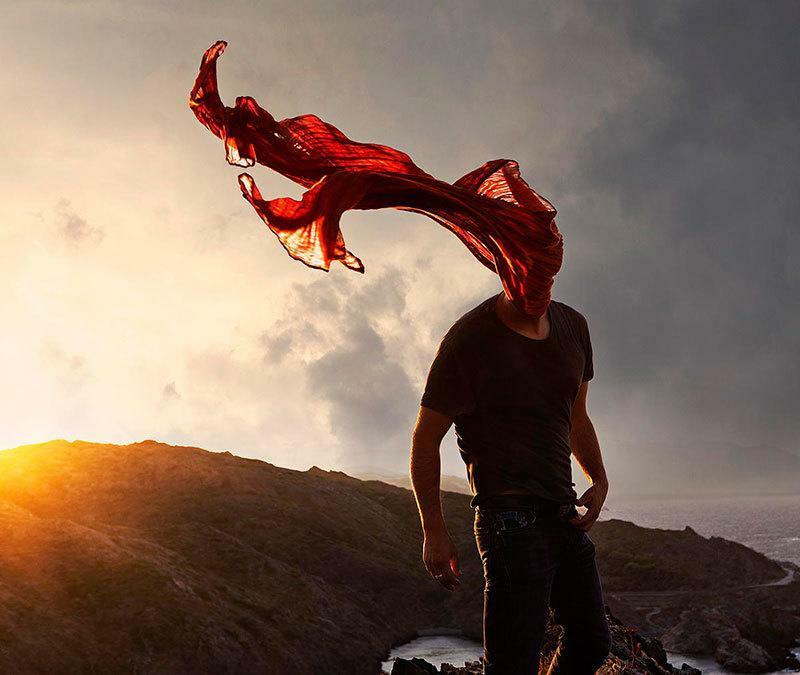 After browsing through the following images, you’ll see that though Redback’s subjects are diverse, his ability to evoke such a deep reaction by simply tweaking one’s outer appearance–often through a person’s face or head–is present in nearly every photograph. 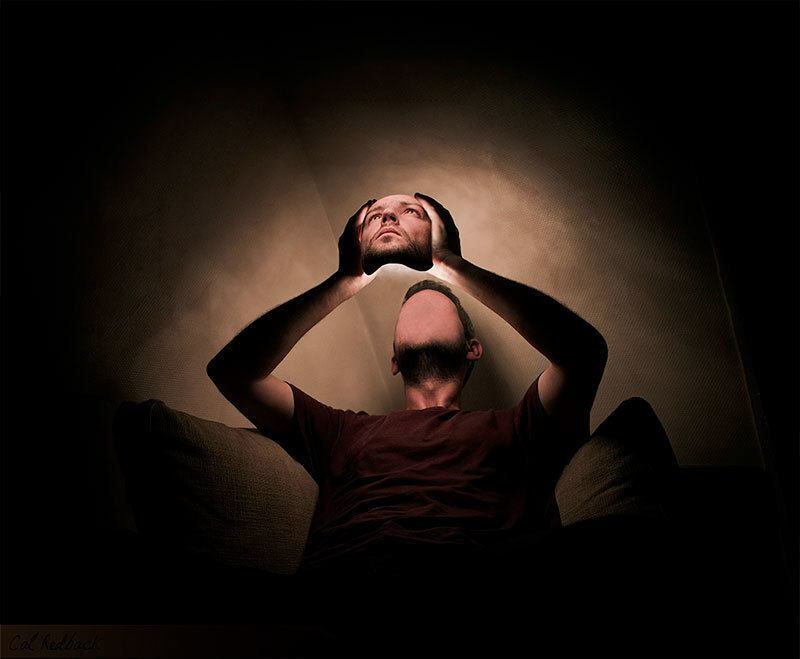 The digital artist’s work redefines the relationship between people and the world in which we live.